The mighty amazon warrior, Princess Diana, looks amazing in this nostalgic pin-up art! 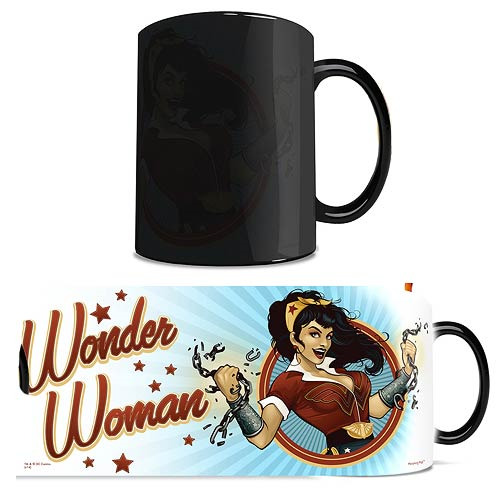 The 11oz Wonder Woman DC Comics Justice League Wonder Woman Bombshells Morphing Mug transforms from black as hot liquid is added! Watch as the heat-activated process reveals the hidden image in full vivid colors! Hand wash only. Not dishwasher safe.